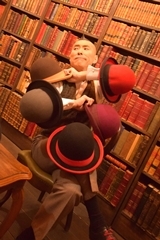 Hiyro has one of the funniest shows around with a combo of humourous circus skills. Is he a juggler, a clown, an acrobat? No! He is Hiyro! 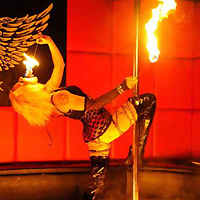 Sasha the Fire Gypsy is New York's premier fire performance artist!